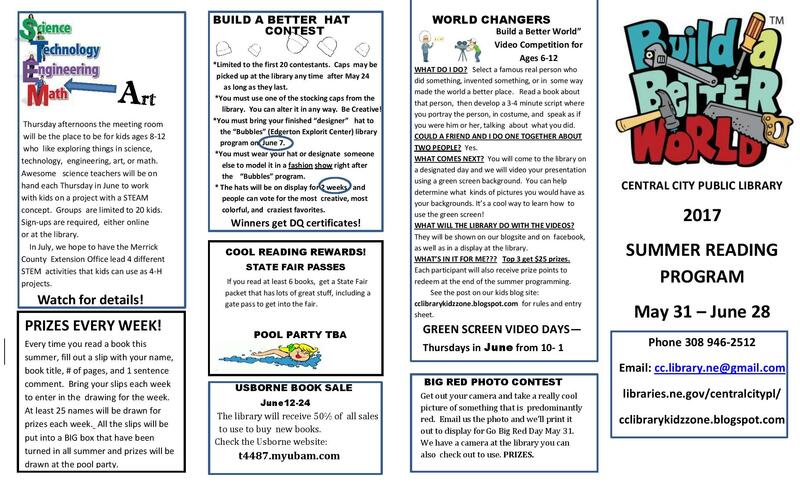 We’ve Got LOTS of Activities Being Planned for this Summer at Central City Public Library!! is shaping up to be the best year yet!! Here’s your SNEAK PEEK into the upcoming activities!! 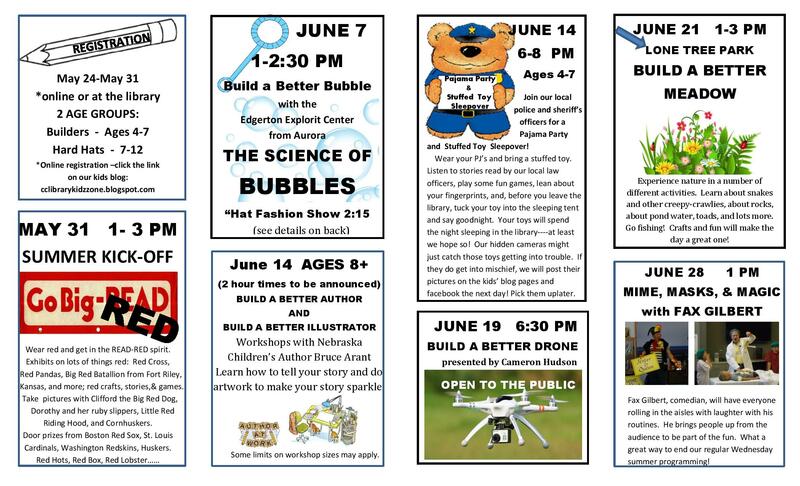 Register Here for Kids’ 2017 Summer Reading Program! 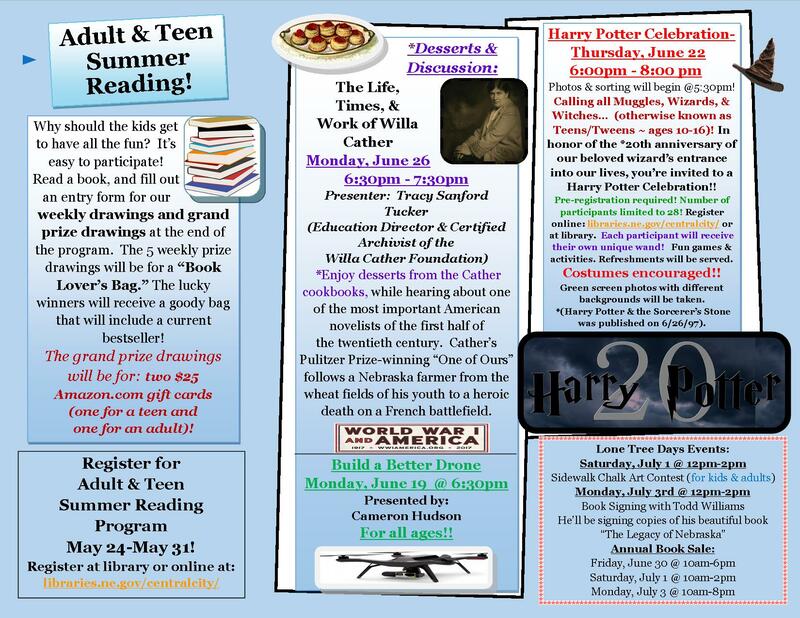 Register Here for Adult & Teen 2017 Summer Reading Program! 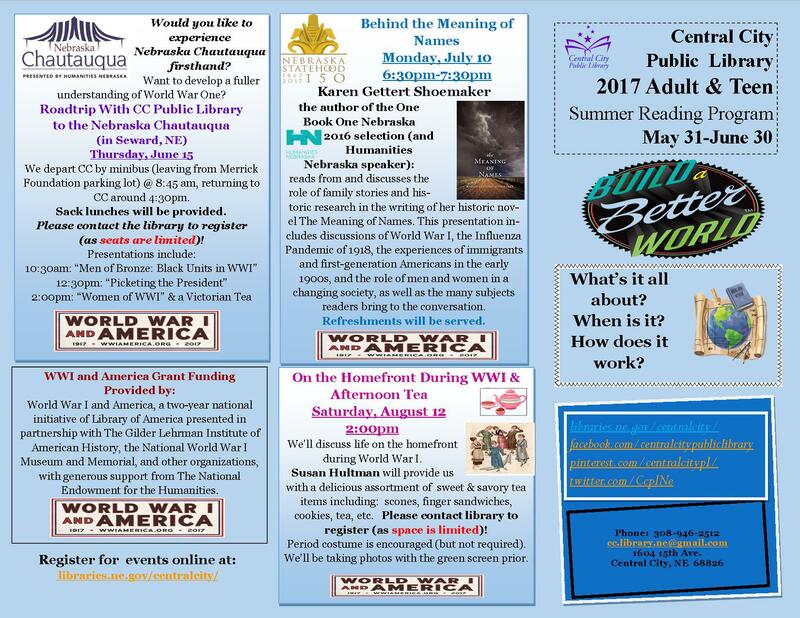 Register Here for Roadtrip With CCPL to the NE Chautauqua! Register Here for Harry Potter Celebration (ages 10-16)!! Register Here for WWI Victory Gardens & Afternoon Tea!